Delaware Poker Laws - Is Online Poker Legal in Delaware? Current Outlook: Delaware has fully legalized several forms of online gaming, including poker. Play without worry! 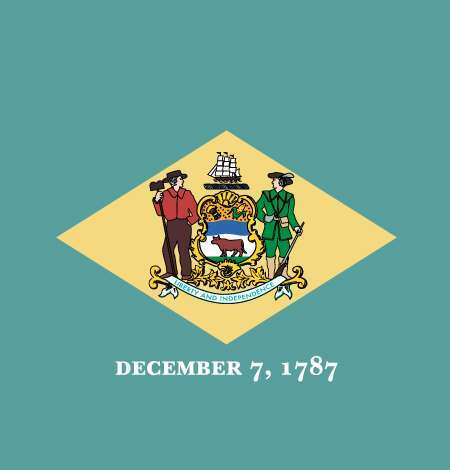 Delaware, formerly a state where the playing of online poker was of ambiguous legality, stepped fully into the modern era by legalizing several forms of online gaming in June of 2012. While Nevada was the first state to fully authorize online poker for its residents, Delaware trumped Nevada by officially approving several different forms of online gaming, poker being only form that is now allowed. While Delaware Lottery officials continue planning their rollout of the state’s online poker and online gambling offerings (scheduled to debut on or about September 30, 2013), some subtle differences will continue to exist between Delaware’s online poker and that offered by older, more traditional offshore sites. For instance, player-to-player transfers will not be allowed on the Delaware sites, thus rendering the practices of funding online horses or helping a friend or a relative start a new account as impractical. 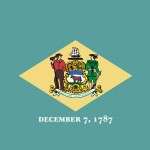 Similarly, Delaware plans to limit players to residents and visitors to the state who are physical within Delaware’s boundaries, and since the state has a population of just under one million people, the effect may be to create a small player pool and thereby result in sparse action at higher stakes. The reason for this is that the online poker and casino games to be offered by Delaware are somewhat secondary to the state’s real goal: the online sale of lottery tickets, expected to be a significant source of revenue for the state’s tax coffers. The proposed regulations for Delaware’s online offerings, available here but not finalized as of our most recent update, show that while online poker is included, it’s really not the focus of the state’s efforts. As a result, the official Delaware Lottery online poker site may not have as robust a selection of games at its outset as those available on current US-facing sites. Players who enjoy more than just low-stakes No-Limit Texas Hold’em should remember that when considering playing options. Delaware, like Nevada, has also instituted an age-21 minimum for play on the state’s official sites. This is keeping in line with the age limit at the three “brick-and-mortar” racinos found in Delaware, but is different than the age-18 minimum typical found on international sites. Thus, 18-to-21-year-olds will remain solely the consumer marketplace of offshore, US-facing sites. The good news is that Delaware online poker players will soon have plenty of options, augmenting what was before 2012 a very sparse availability for poker, with the three racinos’ small offerings and one small charity-based poker room the only choices in the state. Right now, the three main poker sites in the state are all in some way connected to the three racinos currently in operation. These three sites, DelawarePark.com, DoverDowns.com, and HarringtonGamingOnline.com, are all powered by 888 Poker‘s software and are Delaware’s only internet poker options at the moment. In 2015, Delaware and Nevada became the first states to start sharing player pools, with the player base at all three of Delaware’s poker sites sharing the virtual felt with online poker players in Nevada. WSOP.com, which enjoys a near monopoly in the regulated online poker niche in Nevada, has continued to thrive under this pact, as it has only added more action to the tables in the time since the pact was made.